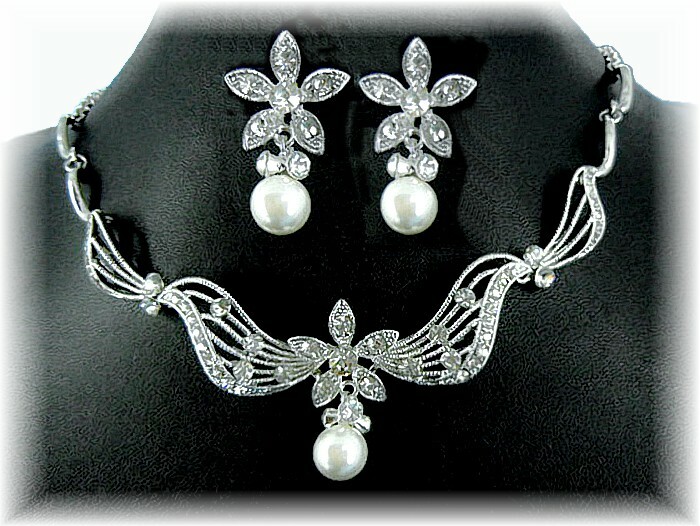 Cute and sparkling the Pearl Marquise necklace and earrings features fine, filigree vintage swirls encrusted with small shimmering rhinestones and a centrepiece starflower, complete with a cool snow-white pearl, topped with sparkling rhinestones. The earrings reflect the centrepiece, adding style and pizzazz to a very stylish necklace. Sizes: 46-53cm/16"-21" Earrings: 3cm(1¼").